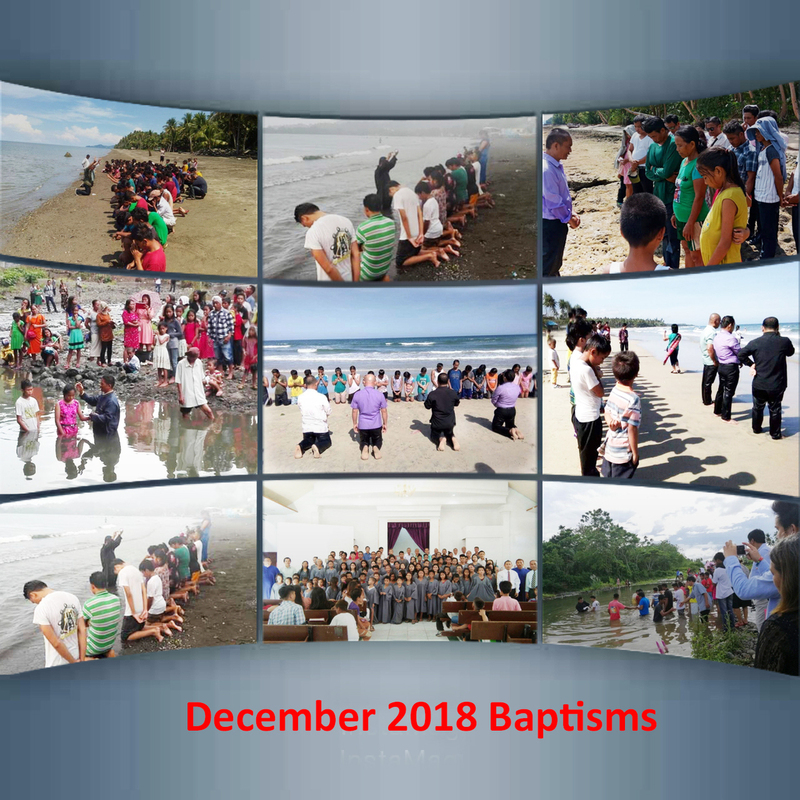 Seven local missions sent their baptism reports and pictures for December 2018. Two adopted ministers from other local missions also sent their reports. 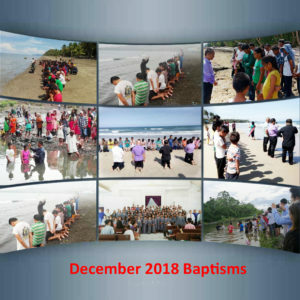 Southern Mindanao Mission = 121, Central Visayan Conference = 84, Davao Mission = 152, Northeastern Mindanao Mission = 56, North-central Mindanao Conference = 128, Zamboanga Peninsula Mission = 182, Western Mindanao Conference – 137, Jessie Molina and Fedil Kasila, 29. Praise God for the dedication of the adopted ministers who are sharing the “good news” of Salvation. Many are accepting Jesus. Thanks so much for your prayers and continued support of God’s workers. Your help allows them to provide for their families as they share the “good news.” To God be the glory! We thank God for you each day. We pray that you will continue to support God’s ministry until He comes back to take us home! What a glorious day that will be!